Chocolate lovers, rejoice. A research team led by scientists at Mars Inc., the U.S. Department of Agriculture–Agricultural Research Service (USDA-ARS), and IBM this week sequenced the genome of the cacao tree. Best of all, the whole genome sequence is being released in the public domain, so companies can’t patent cacao strains a la Big Corn. 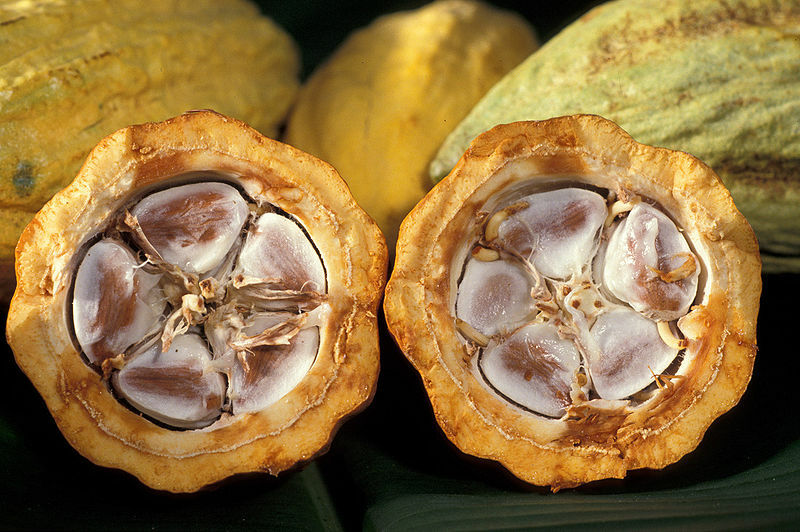 Service (USDA-ARS), and IBM this week sequenced the genome of the cacao tree. Best of all, the whole genome sequence is being released in the public domain, so companies can’t patent cacao strains a la Big Corn. staff officer for plant science and external research at Mars, Incorporated. Why would Mars Inc. invest $10 million in sequencing the cacao genome? In 1989, a nasty disease infected almost all of the cacao-growing regions of Brazil, the world’s second largest cacao producer. It was a terrifying moment for companies that rely on consistent chocolate production, especially since Brazil never fully recovered—it produces less than 100,000 tons each year of chocolate, compared to 400,000 tons before the blight. But that won’t happen again. “Before putting a plant in the ground, farmers will know if they carry traits that produces good quality, resistance, and yield,” explains Juan Carlos Motamayor, the leader of cacao scientific research at Mars. By ensuring diversity of strong cacao crops, farmers can increase their yield and protect against disease. healthy flavenols. Cocoa butter, too, could get a healthy makeover. This has a positive domino effect for Mars. Inc–and all chocolate-reliant companies. “It will help us to better prepare against disease and climate change. We hope to be in business 100 years from now, and this is a way to guarantee our future,” Shapiro says.